HIDDEN DRAGON (AUS) (Bay 1999-Stud 2006). 6 wins-1 at 2, HKJC Chinese Club Challenge Cup H., L. Sire of 510 rnrs, 325 wnrs, inc. SW Hollowlea (MVRC Bill Stutt S., Gr.2), Hidden Warrior, Hidden Kisses, Miss Imagica, Hidden Pearl, Hidden Jewel, SP River Racer, Saraji, I'llbetricked, Obsidian Dragon, Steel Dragon and of Hidden Light, Fiery Heights, Blocker Dee, Celestial Dragon, Expectation - Wonderful (Sing. ), Where's Thatdragon, Bodega Negra, etc. Bodega Negra (g. by Hidden Dragon). 8 wins. See below. The Inflamer (g. by Hidden Dragon). 2 wins at 1000m, 1100m to 2016-17 in Aust. Fantastic Flo (f. by Hidden Dragon). Winner at 1400m in 2015-16 in Aust. Saraji (Hidden Dragon). 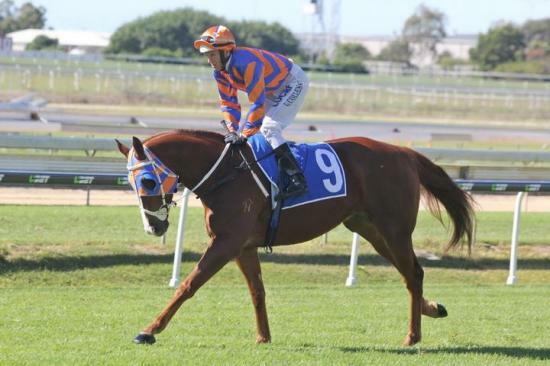 6 wins-2 at 2-to 1100m, A$276,400, BRC Winning Edge Supports Queensland Racing 2YO H., Club Super H., Homestead Tavern H., Racing Retro H., 2d Ipswich TC Sky Racing Grange 2YO P., 3d BRC Mode P., L, Mick Dittman P., L.
Mashudu. 5 wins to 1300m, A$99,750, QTC Salinger H., 2d BTC Great George Moore H., Qld Tatt's RC Hardy Brothers Jewellers H., GCTC Heels & Holly Package H., 3d QTC M Ryan H.
Mr Barlow. 4 wins-2 at 2-from 1200m to 1750m, BTC Nestle 2YO H.
Rocklord. 2 wins at 1350m, 1650m to 2015-16, BRC Quest Breakfast Creek P.
Excellent Dancer - Shaolin Soldier (Sing.) (Exceed and Excel). 11 wins at 1200m, 1400m, A$10,815, 144,192Rgt., S$452,375 in Aust., Malaysia and Singapore, Singapore TC Shin Min Cup, Mount Street H., Kranji C S., Class 3 H., Benchmark 74, Class 4 H.-3 times, 2d Perak Gold Vase, L, Selangor TC Kenilworth Cup, Singapore TC Kranji C S.-twice, Benchmark 89 H., Class 3 H.-twice, Class 4 H., 3d Singapore TC Progress H., Kranji C S., Class 3 H.-twice, Class 4 H.-twice, 4th Selangor TC Sports Toto Supreme Challenge Trophy, L.
BARBED (Canny Lad). 3 wins-1 at 2-to 1250m, A$320,690, ATC Heritage S., L, Canterbury Classic, L, Tab.com.au 2YO H., 2d ATC Roman Consul S., Gr.2, Clarence River JC Ramornie H., L, Scone RC Ortensia S., L, ATC APN Outdoor H., 3d Hawkesbury Guineas, Gr.3, ATC Lee Curtis & Chris Waller Racing 4tracks4kids Welter H., 4th ATC Maurice McCarten S., Gr.3, Star Kingdom S., Gr.3, Brian Crowley S., L, Lightning H., L.
Arimathea (Zoffany). 5 wins-1 at 2-from 1300m to 1600m, A$441,400, GCTC Conrad Jupiters Magic Millions WFA S., QTC Dalrello 2YO H., Zephyr Zip H., Franklins H., 2d Queensland Guineas, Gr.2, BTC Bernborough H., L, 3d BTC Courier-Mail Classic S., Gr.3, Doomben S., L, 4th VRC Blamey S., Gr.2, BTC AWA S., L, Bernborough H., L.
PRINCESS MARGARET (Spectrum). 9 wins to 1300m, A$255,550, GCTC Silk Stocking H., L, Qld Tatt's RC Country Cup, 2d QTC Members H., 3d QTC Outdoor Furniture Specialist H., Petrol Boutiques H. Producer. Race Record: 58 Starts 8-3-7 A$432,715. 8 wins from 1350m to 1800m, A$432,715, to 2016-17, BRC Mother Energy H., Iona College Old Boys 3YO H., Chemist Warehouse H., GCTC First National Real Estate H., BRC Brc.com.au H., Coffs Harbour Cup, Ipswich TC Channel 7 P., SCTC Oaks Hotels & Resorts P., 2d BRC Southern Sheet & Coil H., Christmas Carnival P., Dean Webb Memorial H., 3d BRC Centre for Pain Management H., Programmed Property Services H., Jim Beam H., Ambush Security H., Kartaway H., Qld Tatt's RC Carlton Mid P., Clarence River JC Grafton Guineas, 4th Sunshine Coast Guineas, Gr.3, GCTC Prime Minister's Cup, L.